Look at this template. 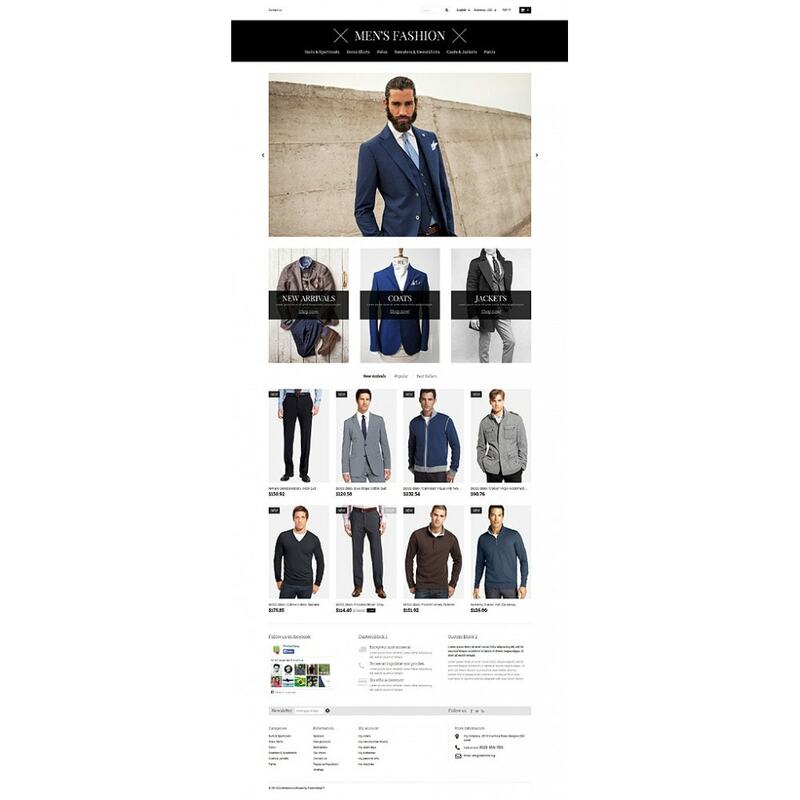 At first sight you understand that this website has been designed for the male audience. 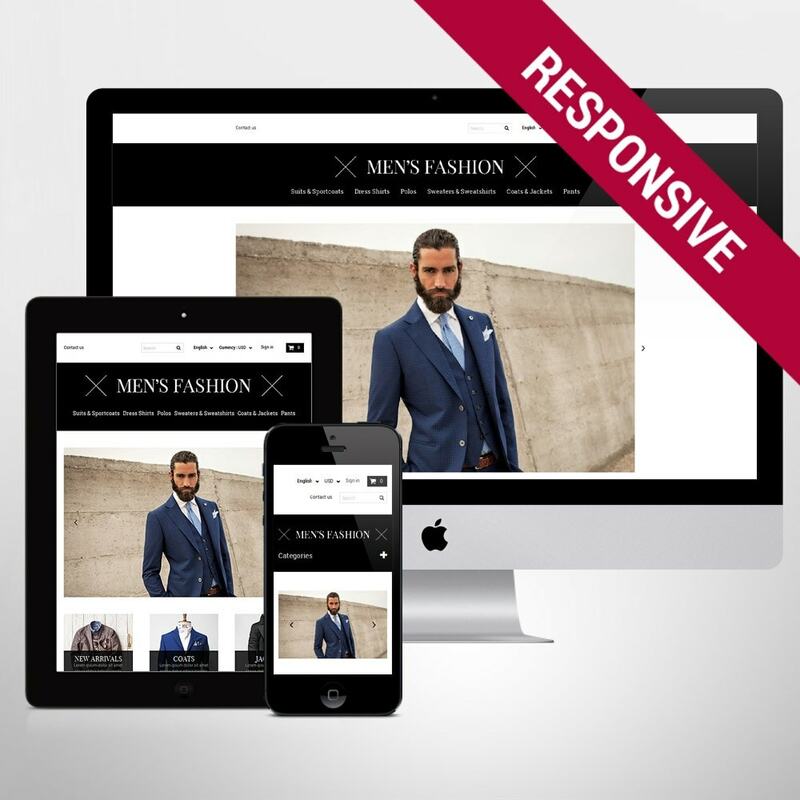 Sharp lines, black and white colors in the layout create a reserved, elegant atmosphere. 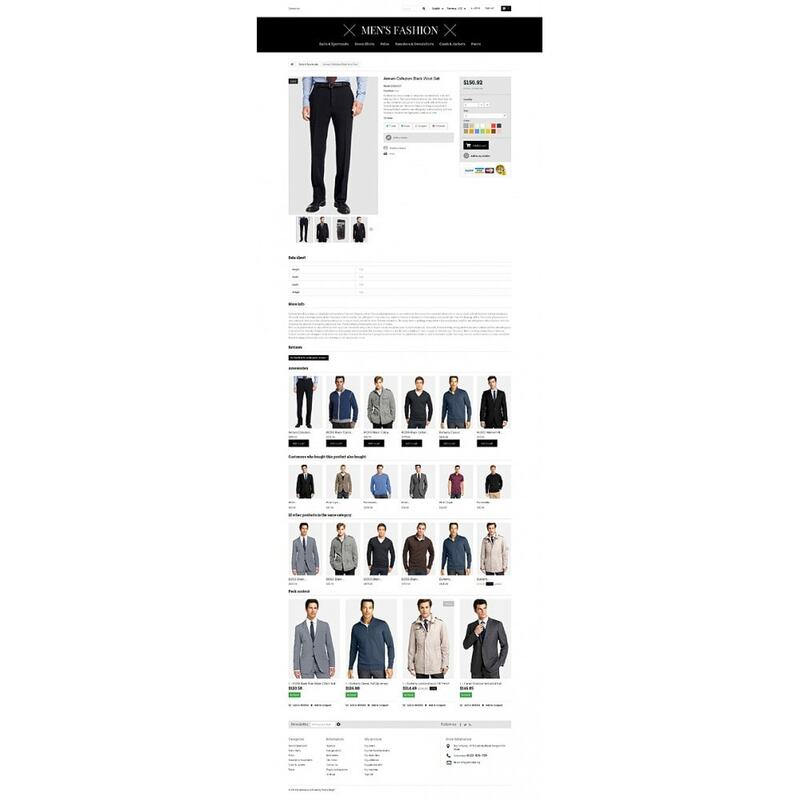 Simple slider showcases the latest men's fashion collections. Banners are large, with semitransparent text blocks over them. 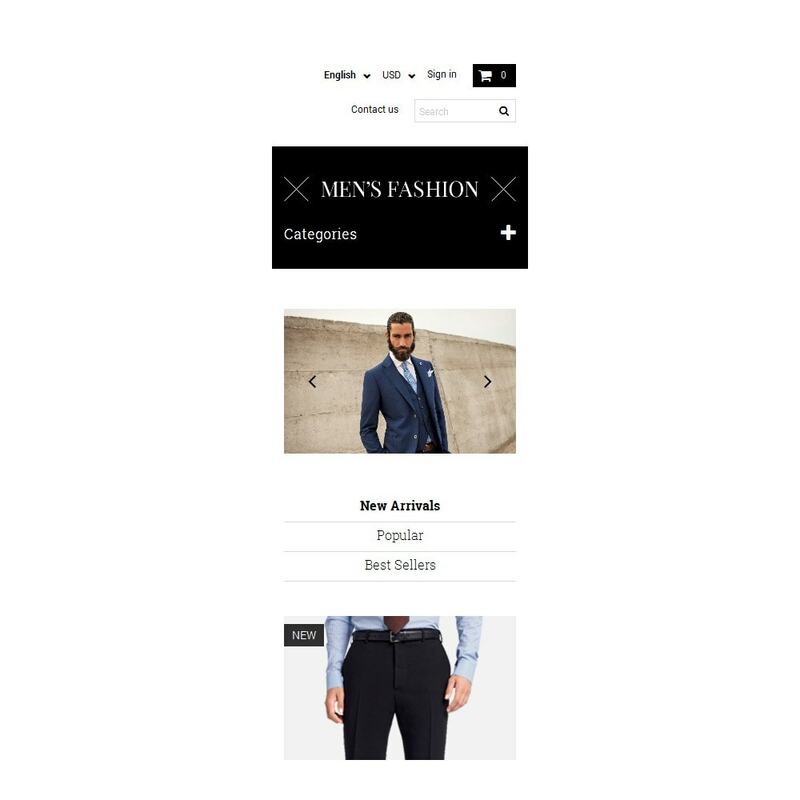 Tabbed navigation at the content area lets buyers view new arrivals, popular products and bestsellers. Such product placement saves the space on the page and keeps it clean and uncluttered. 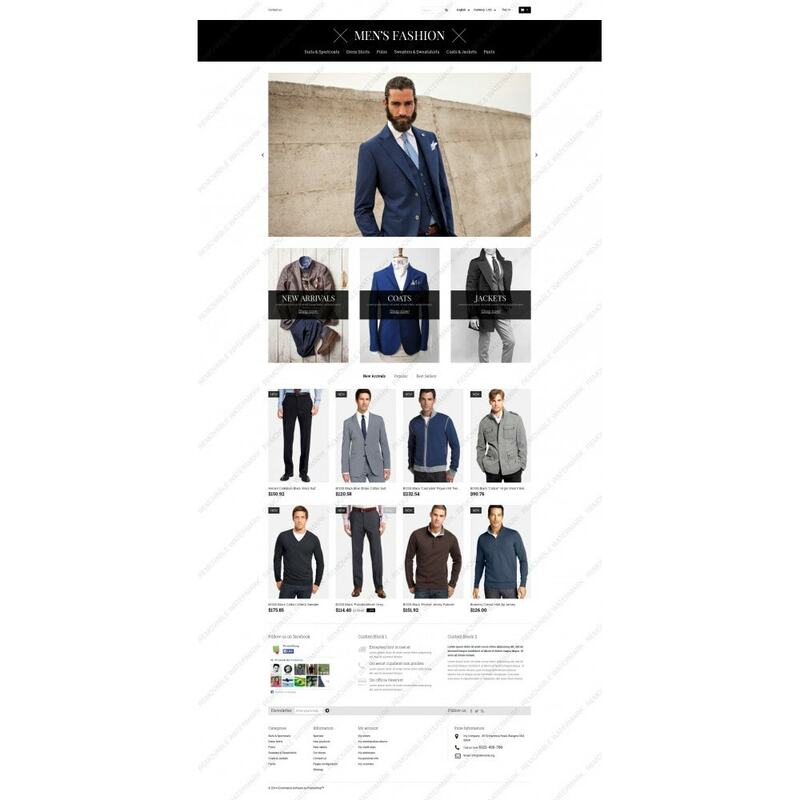 Site owner even has section for custom blocks and rather informative footer. 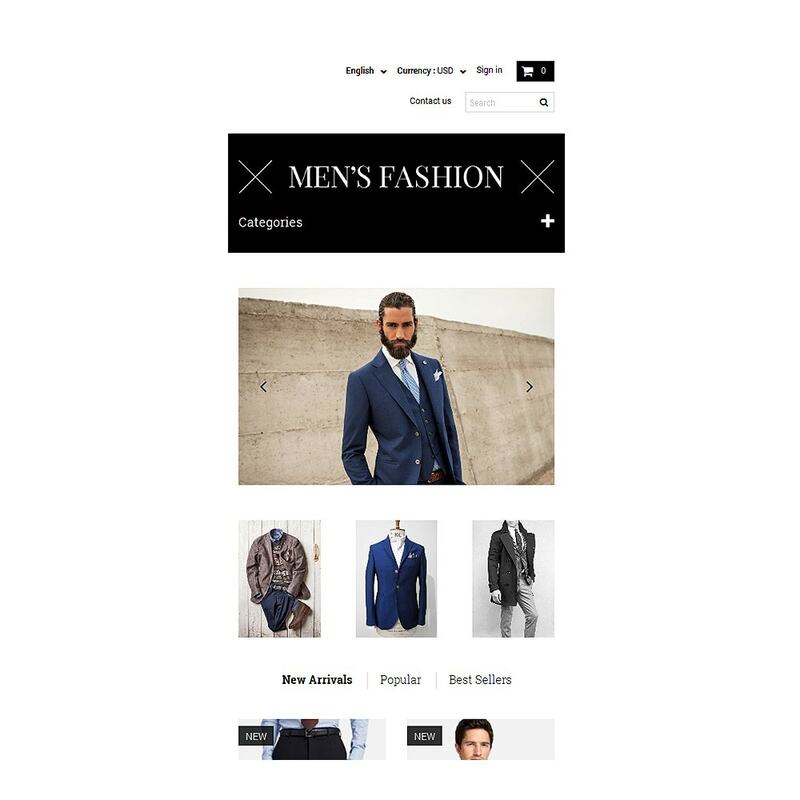 We are sure that your male clients will appreciate this web store, just make a try and be a success. 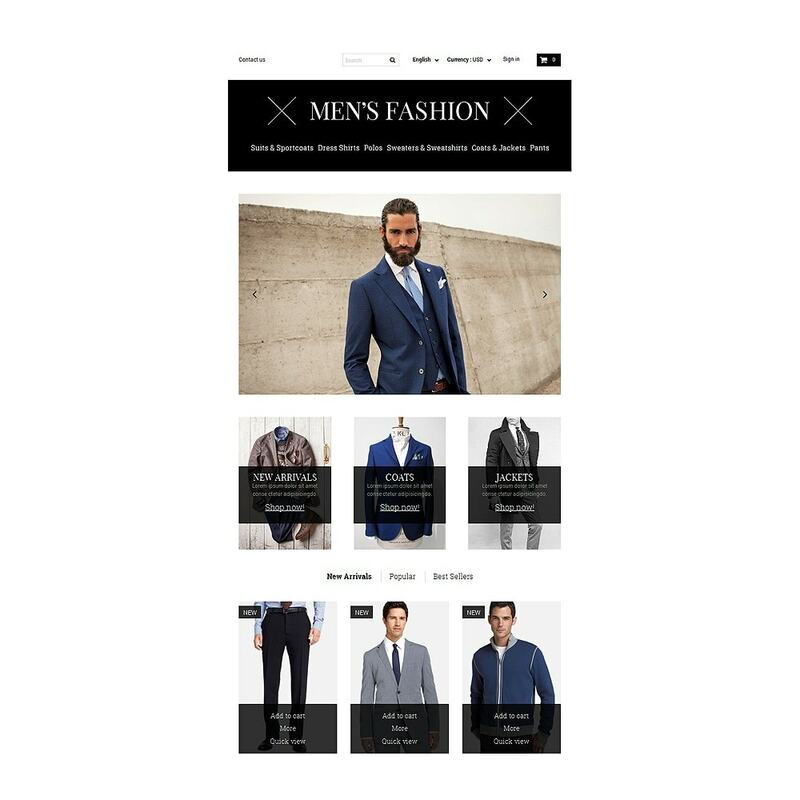 The theme is best for online men's clothing, footwear and accessories stores.